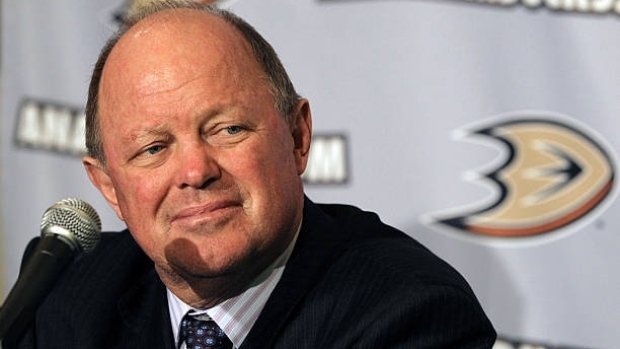 ANAHEIM, Calif. — The Anaheim Ducks have extended general manager Bob Murray's contract for two seasons. The extension announced Saturday means that Murray is now under contract through the 2021-22 season. Murray is in his 11th season as executive vice-president and GM. He joined Anaheim in 2005 as senior vice-president of hockey operations. He has been a three-time finalist for NHL general manager of the year and won the award in 2013-14. The Ducks have advanced to the playoffs the last six years (only Pittsburgh has a longer streak) and posted five straight 100-plus point seasons, which is the league's longest active streak. Murray is approaching 1,000 games as an NHL general manager. He is currently at 975 games — 188 with Chicago and 787 with Anaheim.